EAT WITH ME: Getting the most of your restaurant wine experience! 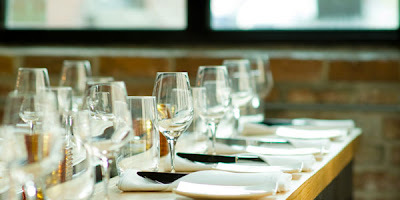 Getting the most of your restaurant wine experience! More great tips from Karen MacNeil. 1. Relax. Most people sit down and think they need to know immediately what to do about the wine. Buy yourself some time by first ordering a glass (or bottle!) of Champagne. It’s a classic, elegant way to begin, and it will give you time to mull over the wine list. 2. Ask for help. 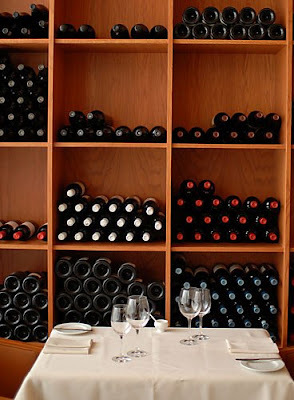 A wine steward’s job is to know about the restaurant’s wine list. It makes no sense not to take advantage of that expertise. 4. Get excited about learning. Every so often, resolve to spend more than you’re used to on a bottle and just randomly choose something you don’t know. Ask your wine steward for information about your random selection. After a year of this, you’ll be over the fear of not knowing—and you’ll have learned a ton! **MORE "Ask Karen" Tips & Notes here.